The New York Auto Show 2017 next month is getting crowded already as the 2018 Toyota Yaris, Sienna among a couple of other models are coming to the show floor. 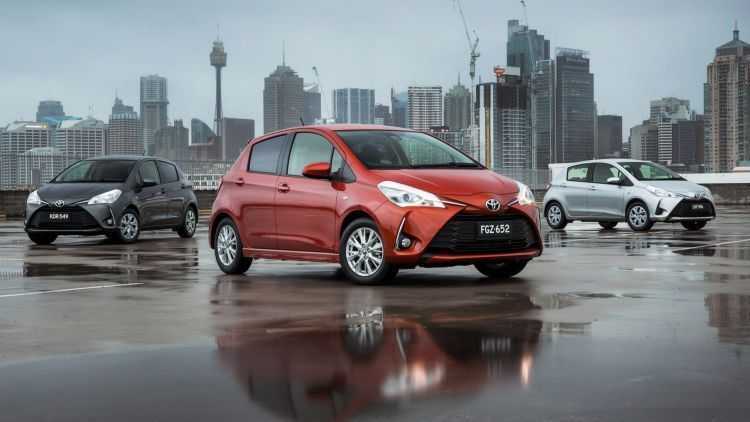 The automobile brand revealed the cars with the Yaris getting an improved look and a pointed front fascia. The L and LE models get the same exterior changes while the top of the line SE model now looks sportier than before. The sports edition also uses 16-inch alloy wheels. On the inside, there are many minor yet useful upgrades. The dashboard is now dominated by a larger 6.1-inch display with a renewed information cluster and new gauges. The SE model however has an even bigger 7-inch touchscreen display combined with Entune audio plus and Connected Navigation. The Yaris will be available in two different color variants this year including a Blue Eclipse one and another with the same blue but it gets a Black Sand Pearl Roof. Buyers can also choose between black and gray interior options based on their personal preference. A range of safety features are incorporated in the car like automatic emergency braking, lane departure warning with both visuals and sound along with automatic high beam systems. Some of these features will be found only in the top of the line model and not the entry level variants. Slated for the 2017 New York Auto Show is not only the 2018 Toyota Yaris but also the Sienna which has an Entune 3.0 Infotainment system. 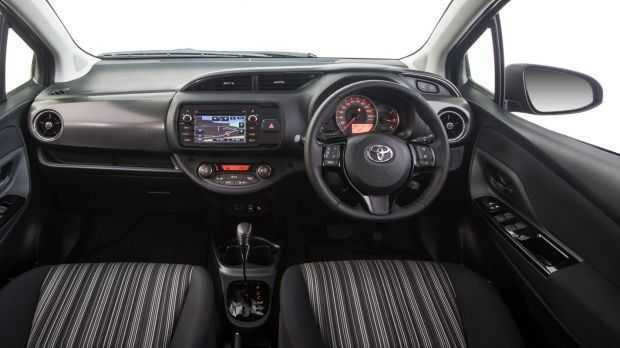 The car is equipped with 4G LTE internet connectivity support, has Connected Navigation GPS links to find routes and also uses Safety Connect and Wifi Connect allowing passengers to stay online on the move. The music setup is the highlight designed by JLB audio that includes a large 10.1-inch subwoofer and nine speakers around the vehicle for a surround sound experience. Safety features found in the new version of Sienna includes pedestrian detection, adaptive cruise control, automatic high beams and lane departure warning. The car is available in wide range of color choices including parisian night pearl, toasted walnut pearl and alumina jade metallic. The 2018 Toyota Yaris, Sienna and other upgraded models will be showcased at the NYC auto expo. They are expected to be available in stores this summer. We will bring you more details on its pricing, specifications and performance reports once the event is underway in the Big Apple.